“Before I started Pilates, my hip was aching and my knee as well. I knew I needed to work on my flexibility and strength. I had done Bootcamp for about 6 or 7 years and while it was great for strength, I felt that the repetition and added weights was contributing to the issues I was having with my hip and knee. I didn’t feel that there was enough time for stretching, so I was looking for something different. That was a long time period of doing the same thing without getting exactly what I needed; I felt it was time to switch things up. I’ve been practicing Pilates for about a year now and it has definitely made me more aware of my posture. For example, when I’m sitting in the car, I think to push my head back into the headrest and I can then feel that my shoulders are moving down and spreading in a good way, the way that they should be. When I started in the apparatus class, we worked on keeping our shoulder blades apart and not going back and so I started incorporating that in my posture. Also, when I pick up something heavy, or am carrying a lopsided load, I find myself making sure that I engage my core. I’m now going through my life more consciously and aware because of the tools I’ve learned from Pilates. Mara once said in a class “let your core do the work and let your body go along for the ride” and I noticed that while doing chores, such as raking leaves, I started using my core instead of letting my shoulders do all the work and the difference was amazing. I think more about how I move and I feel better overall; my hips don’t ache and they feel more balanced. Being in the apparatus class has made me more aware of when even stepping up onto something, I need to keep my hips even and it’s started to just come naturally. The techniques I learned from Pilates have helped on so many levels in my day to day life. The pace of Pilates is not hectic, it doesn’t rush you, and it is relaxing and rewarding in a way that no other exercise I’ve experienced has been. Many years ago I got a Pilates DVD, and when using that, I didn’t realize that I needed to be mindful of my form or technique. 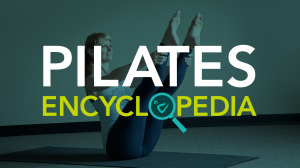 I think that if you’re looking for something to assist with core strength or if you have physical issues, Pilates is great because it is adaptable and can be customized to the individual. Most other forms of exercise seems to be more about just powering through the workout and avoiding the real issues that you may have; you don’t address the problem. With Pilates you really try to get to the source of the problem and correct it.